While we are all already familiar with the Korean variety show, Running Man, we would have never expected it to be held in Singapore – well, not exactly, but it with a better twist! Jetstar Asia definitely had a few tricks up its sleeve for its 10th Anniversary and was ready to wow its customers in more ways than one. As long as you had both the brains and brawn to stand up to the challenge, you could have easily stood a chance to win a trip to Jetstar’s top destinations. Fans were urged to keep a close lookout on Jetstar’s Facebook, Twitter, and Instagram for clues of the secret locations hiding airline tickets. 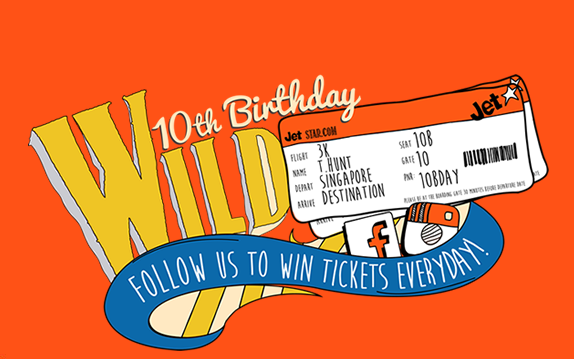 But the crucial point lay in the Jetstar Wildcard video that featured Shawne Koh, the winner from the Wildcard Adventure competition held prior to this Wild Ticket giveaway. In September, more than 4,000 people entered the Wildcard Adventure to win a 3-day 2-night mystery trip, and the ultimate winner Shawne Koh, was taken on a thrilling adventure in Bangkok. He had no itinerary, no hints, and had to agree to everything planned. Turns out, it was worth the leap of faith, and he had a wild time. “This trip was the craziest thing I’ve ever done in my life and it goes beyond the Jetstar Wildcard video. I seriously had no idea what would come my way at every turn,” raves Shawne Koh. Jetstar didn’t want to simply stop at Shawne’s mystery trip and decided that their fans deserved more. 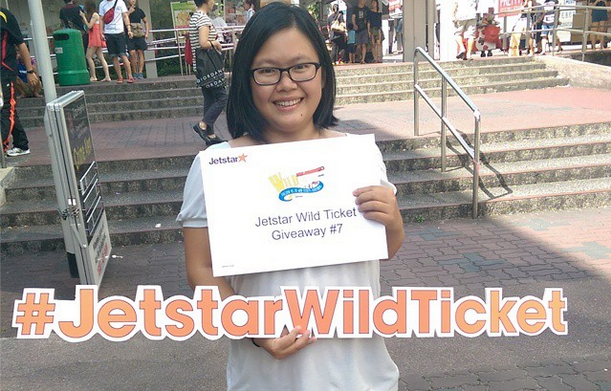 With that, Jetstar gave away 10 pairs of Wild Tickets from Dec 4 to Dec 18 to different holiday destinations. The 10 lucky and spontaneous participants who rushed to the secret locations in time will get to travel to Osaka, Japan (in front of Fullerton Hotel); Bali, Indonesia (Jurong East MRT Station); Taipei, Taiwan (BLK 55 Tiong Bahru); Perth, Australia (SMU Campus); and Bangkok, Thailand (Changi Airport Terminal 1), just to name a few. For an organisation that builds its reputation with support from customers, it has definitely given fans another reason to continue their future adventures with Jetstar Asia.